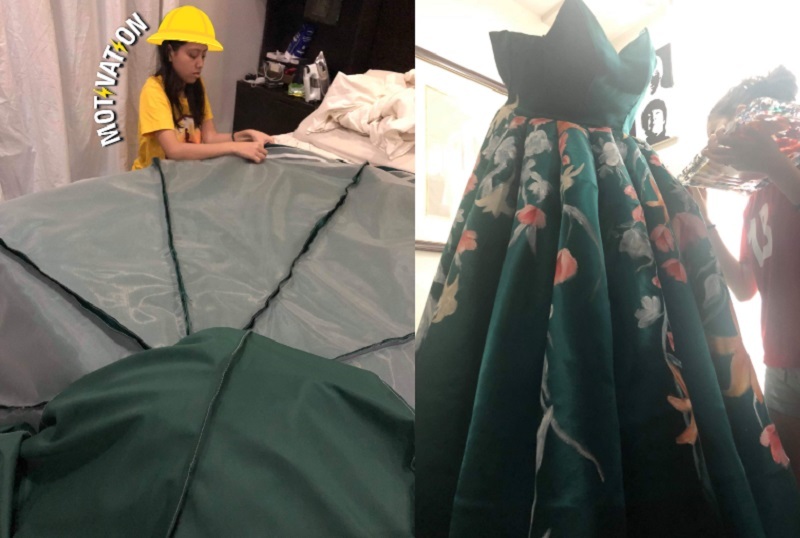 A creative Filipina teenager may have stumbled upon an unexpected career in fashion design after her high school graduation ball (prom night) gown of her own design and creation went viral in the Philippines. According to Ciara Gan, she began designing and painting her own graduation ball gown after she was left disappointed by someone else’s attempt to help make the dress. With some encouragement and help from her mom, Ciara designed and sewed the gown herself. “My mom and I made… sewed each panel of the skirt one-by-one (there are about 12-13 I think!) It took me about a whole month to make the whole thing (conceptualizing and drafting). For the painting, it took five days,” Ciara was quoted as saying. According to Ciara, making the dress took about a month, from the conceptualization and drafting of designs to the actual sewing, which took about a week, and painting, which took her five days. 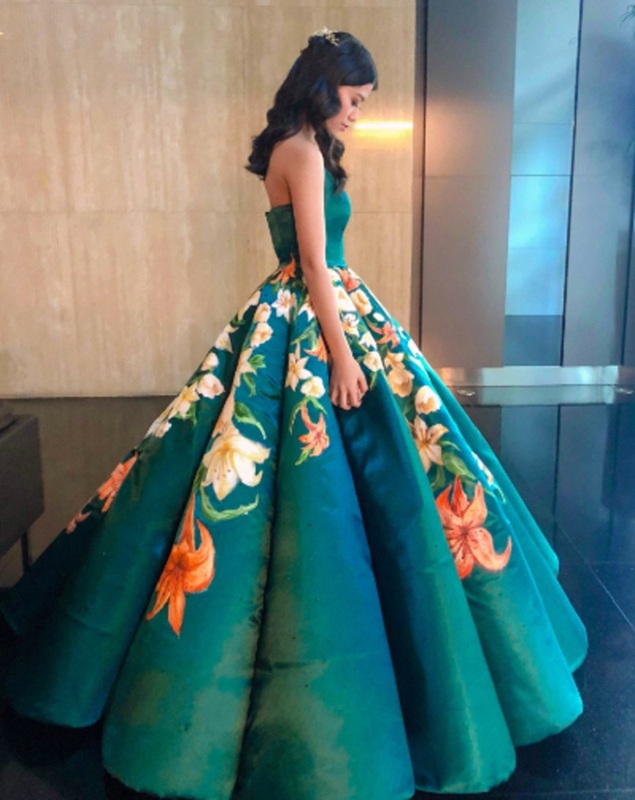 “I wanted my gown to be a manifestation of who I am and the things that are closest to my heart, like the color green and the vibrant colors because that’s who I am,” she told ABS-CBN. Ciara, who recently graduated from Colegio San Agustin-Makati, will be taking up BS Management Information Systems in Ateneo de Manila University. While she has indicated that she currently doesn’t have plans on pursuing art or fashion in college, she has started to accept doing art commissions as requests poured in via social media.